Strangely enough, wakes seem to bring out the best and the worst when it comes to the Band's fortunes. In March 1991, we all gathered to see Terry on his way to a better place. 21 years later, in March 2012, we came together to bid farewell to Jim. Old friends on a bench in Belgium.The venue was the same, St. Anthony's Church then all back into St. Anthony's Parish Centre. The celebration of both bandsmen's lives was the same, a few drinks, a good old sing-song, a few tears and a lot of laughter as we remembered our departed friends. But the outcome was quite different for the future of the Band. 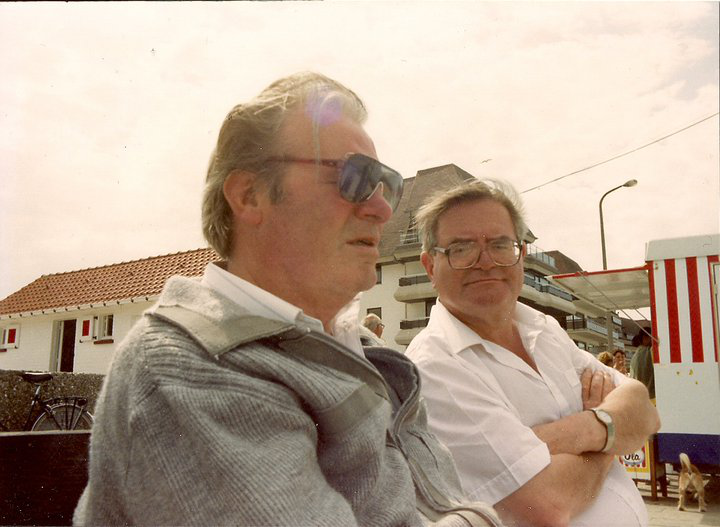 While Terry's passing marked the beginning of a decline, with members gradually leaving due to family or professional commitments, Jim's death sparked an upturn in the Band's fortunes. As is often the case when former Fianna Phádraig Pipe Band members get together, a number of us expressed a desire to return to the Band. Brendan was the first to step forward, that Thursday afternoon in St. Anthony's Parish Centre. Peter said he'd like to come back. Mike clearly had similar thoughts, and Paul and John, too, were up for joining Barry, who had beaten us all to it, rejoining a few months previously. at the Italian Walks in Manchester, 2nd July 2012. 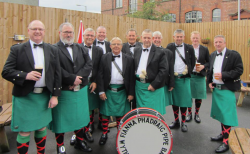 But in June 2012, Brendan, Paul and John joined Bill, Peter, Ken, Tim, Dominic, Paul and Barry to play at the Madonna del Rosario Procession, also known as the Italian Walks, in Manchester. Mike followed their lead and was soon swapping his flute for his pipes to turn out with the Band. A couple of months later, in France, Peter - the other one - saw the photos of his friends playing with the Band and thought, "Shame on me! If Brendan can travel down from Edinburgh, I can come over from Paris". In October, Peter turned out with the Band at the Marian Procession in Rusholme, Manchester. 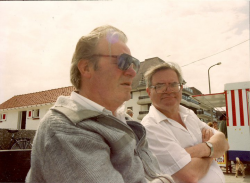 His brother, Carl, soon followed suit, making the trip over from Derbyshire, and they were joined by their brother-in-law, Colin, from Salford, and Gerry, our Brazilian connection. There are pipe bands in Derbyshire. There are pipe bands in Edinburgh. There are pipe bands in Salford. There are even pipe bands in Paris and Sao Paolo. 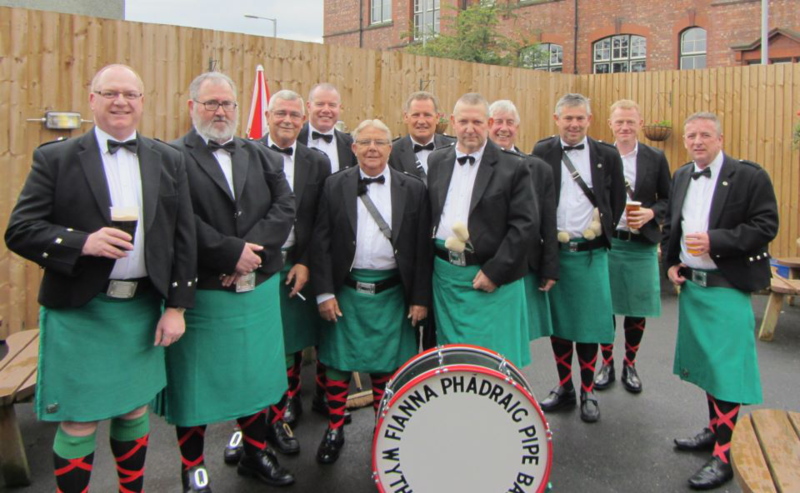 So why do we all choose to come back home to Wythenshawe and the Fianna Phádraig Pipe Band? Perhaps it's because it's not just a pipe band. It's a community, a family... a family nurtured by Terry Dowling, and Terry's dream has come full cycle; he gave the lads a taste of life in the broader world, and now they are coming home to perpetuate his legacy. Today, the Band is approaching full strength, with youngsters coming through the ranks on both the pipes and the drums. 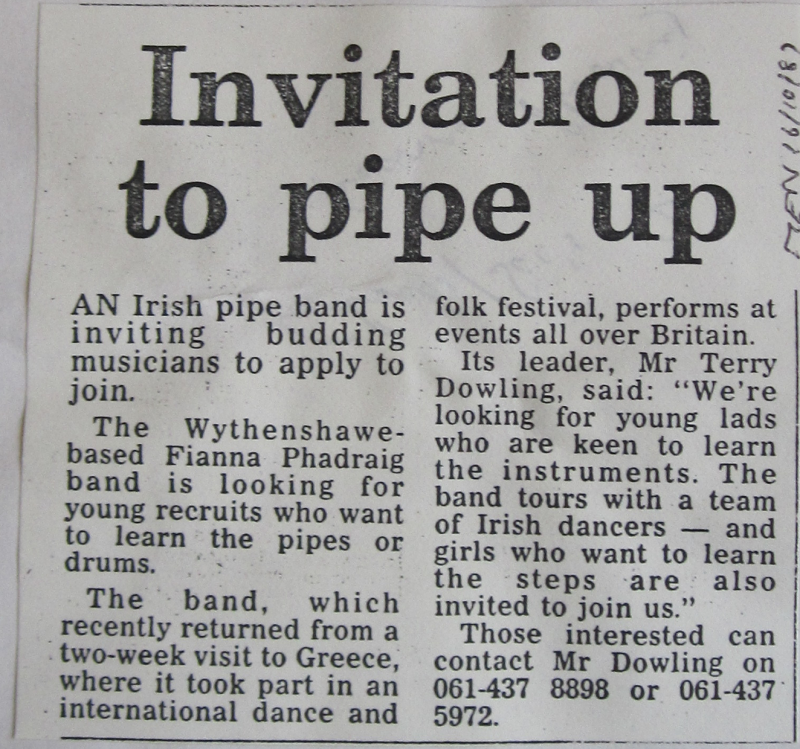 If you are a former Band member and would like to rejoin, get in touch, you're always welcome. If you've never played the pipes and drums, but would like to learn, give us a ring or drop us a line, you won't regret it!